It is a popular roadside dish of Rajasthan. 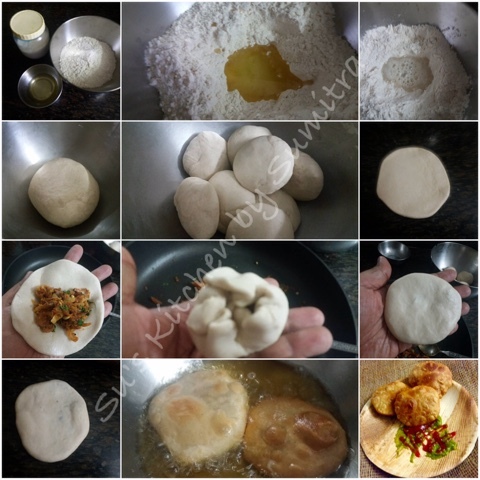 Off let lots of post on piyaz ki kachori took me back to the time when I use to visit Kota. Me and my sister in law use to go for marketing. So after our shopping was over, we made it a point to eat piyaz ki kachori. It was served with chutneys, curd, chaat masala and sev. Extremely popular and delicious..
Take oil in a pan, let it heat. Add the nigella seeds, fennel seeds, carom, coriander seeds. Let it crackle. Add onions, garlic and green chillies. Sauté and cook the onions till light brown. Add asafoetida, salt, coriander powder, chilli powder, garam masala powder. Stir and mix it. Add the lime juice, stir and mix it, add the besan and mix it well stirring it for 2 minutes. 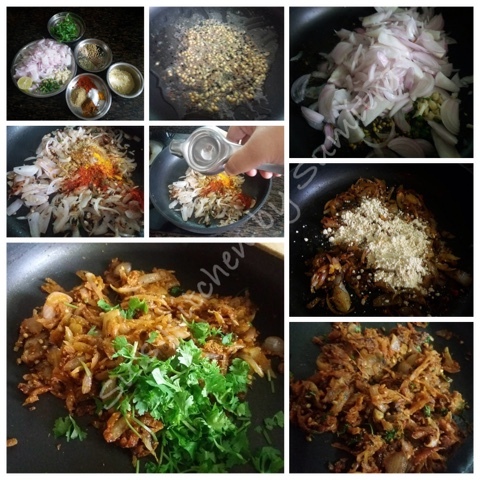 Add coriander leaves, mix it. 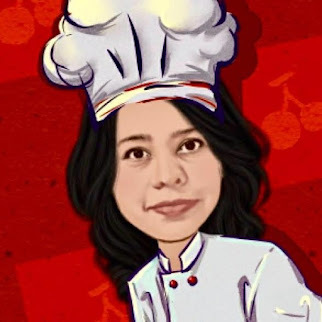 Take mixing bowl, add salt, ghee and flour. Mix it well. Add water as required into the flour and knead it into a hard dough. Keep it covered for 30 minutes. Take a portion of the dough, knead it well. Roll the dough into round disc. Take 2 tsp stuffing and add it into the center of the circle. Seal the dough from the edges properly. Flatten the dough and roll it lightly once more around 4 inch. Heat oil. Keep it on low flame. Fry the kachori on a low medium flame fry till it become golden and crispy. Take out on an absorbent paper. 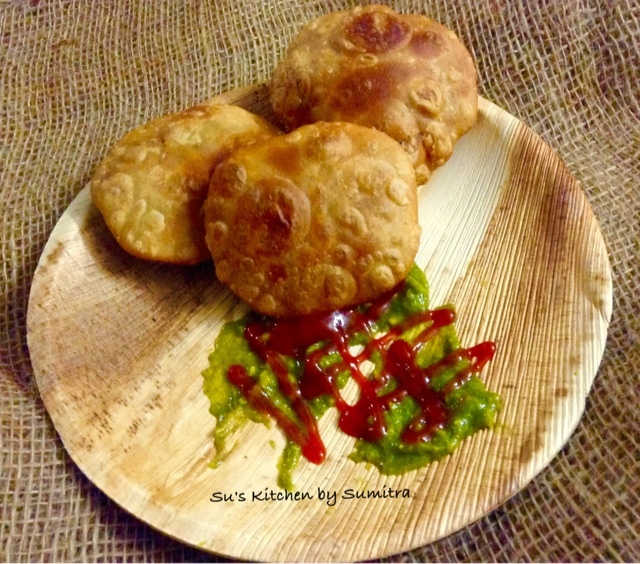 Serve the kachori hot with some coriander chutney, tamarind chutney or sauce.